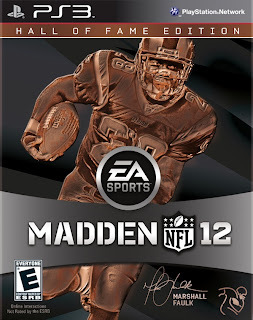 The highly anticipated release date of EA Sports Madden 12 has arrived. 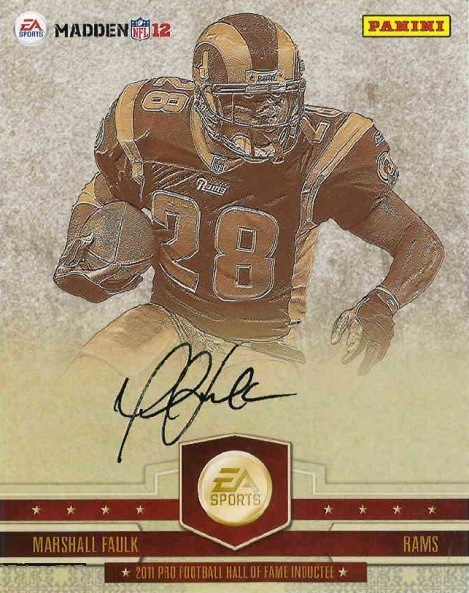 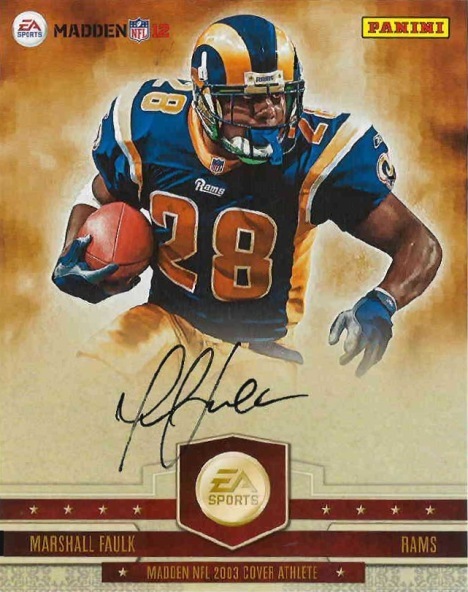 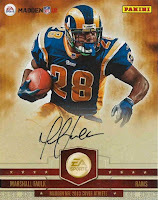 Besides the new features found in this year’s release, card collectors are very interested in what comes packaged exclusively inside the Hall of Fame editions of the game, oversized autographed cards of Marshall Faulk. 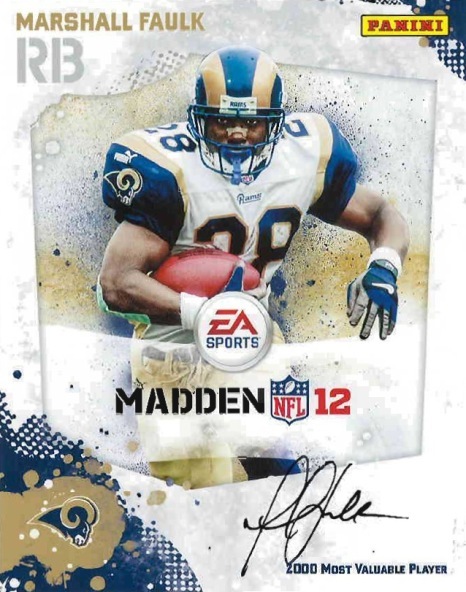 Faulk signed his name 125,000 times so that every box of the Madden 12 Hall of Fame Edition, both PS3 and Xbox, would contain a auto card. 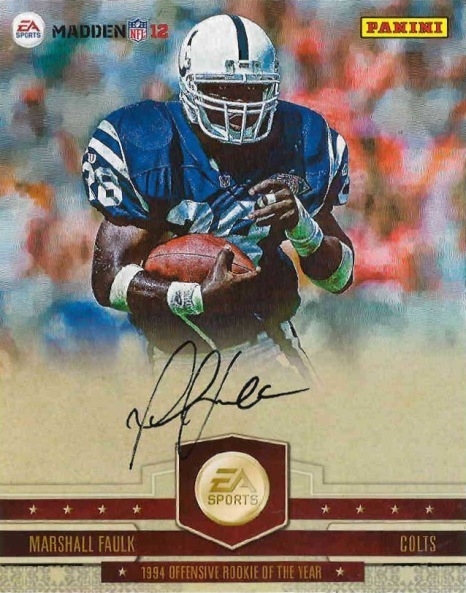 These cards, which measure approximately 4 inches by 5 inches, come in the four versions pictured here. 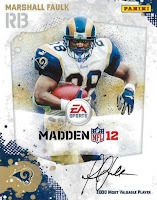 The back of these cards include Faulk's Madden Ratings numbers and a small write up. 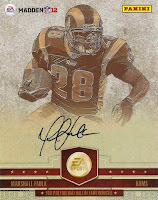 These are not numbered so it is unclear if any of these are a short print. 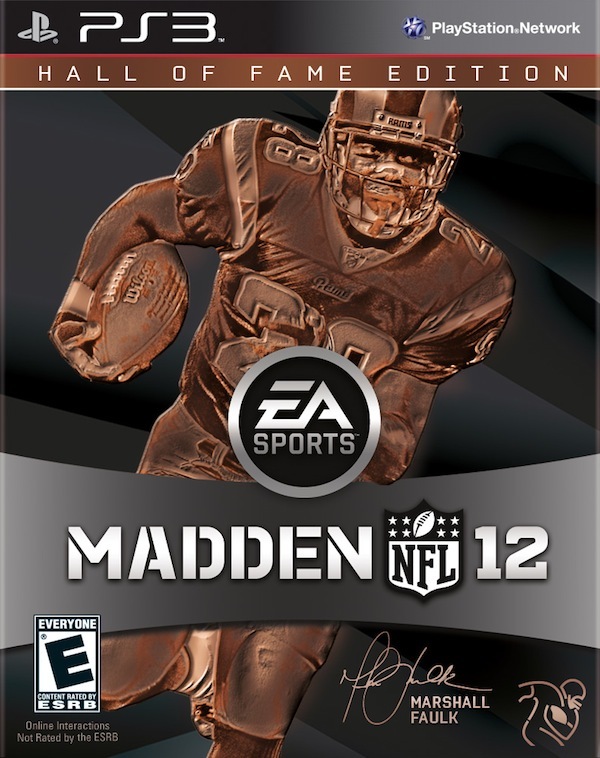 They are inserted with the manual on the left side of the case.